He told reporters that “this may be one of the worst natural disasters to hit southern Africa in living memory.” The cyclone roared ashore overnight into Friday and flood waters are still rising amid torrential rains. Zimbabwe’s president says that “we do not want to hear that anyone has died of hunger” as aid is rushed to remote areas hit hard by a tropical cyclone. President Emmerson Mnangagwa spoke during a visit to eastern Zimbabwe as the country’s death toll rose above 100 and burials continued. 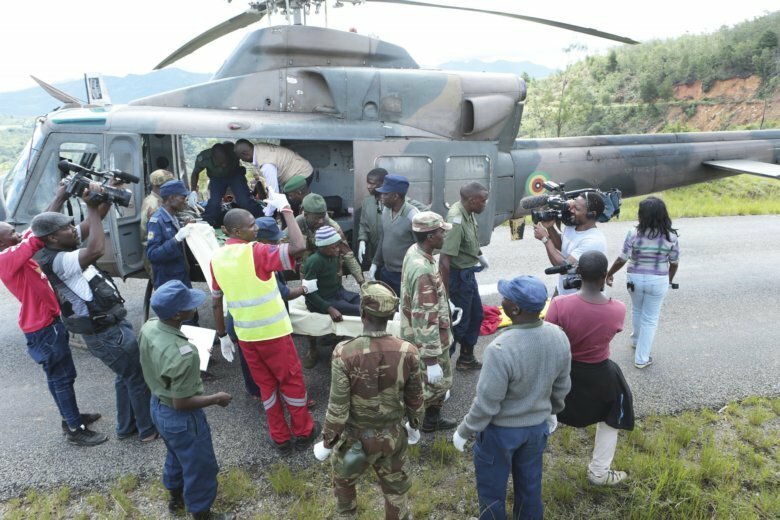 Zimbabwe’s military is using helicopters to deliver aid to mountainous areas where roads and bridges have been washed away. Survivors say whole towns have disappeared. India’s government says three naval ships have been diverted to Mozambique’s port city of Beira after much of the city of 500,000 was destroyed by a tropical cyclone. A statement says the ships changed course after a request from Mozambique’s government and are providing humanitarian assistance that includes the evacuation of people stranded by rising flood waters. A helicopter from one ship also is operating. Zimbabwe’s President Emmerson Mnangagwa told survivors that a planeload of aid from the UAE is expected to arrive in the capital, Harare, later Wednesday.